A hooded gas barbecue is located on the deck for your outdoor entertaining. Its equally as comfortable in the winter months with the use of a heat pump/air conditioning ! It features a great new kitchen with breakfast bar and modern beachy decor throughout. The property is fully equipped, with Queen bedrooms and the master has a sitting area with couch to enjoy the view. The house has a large new gourmet kitchen with large induction hob and double oven, comfortable open plan living, dining areas. Plenty of parking for vehicles and boat. Comfortable beds, linen included , large HDTV and DVD, stereo, unlimited WiFi, full laundry facilities. The section is fully fenced safe for the kids and your dog. All linen is provided and there are many extras provided free of charge (two sea kayaks), plus many extras in the kitchen (cooking salt, cling wrap, aluminium foil, dish washing liquid and powder, clothes washing powder, etc). Enjoy a relaxing break knowing, pack up your possessions, load them in and you're on your way. It’s a wonderful place to get away to yet be close to all amenities. Perfectly placed walk to the local amenities; kids playground, sports complex which includes tennis courts, bowling green, golf course with dining and a bar. Also nearby is a local dairy/bottle store, takeaways, cafe and hairdressers. Several exceptional beaches are all within a 15 minute drive, including a surf beach. 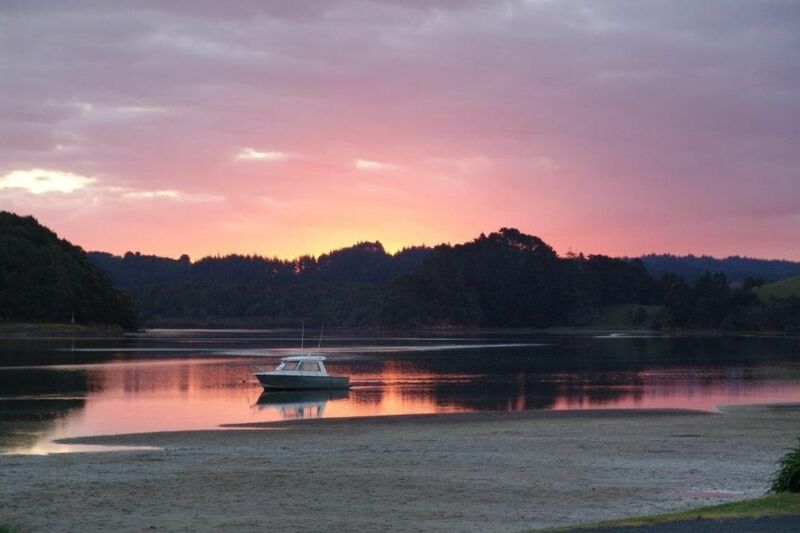 Tutukaka Marina is just 5 minutes away where there is varies dining options. There is dive and sightseeing charters to the Poor Knights Islands. You'll be completely relaxed at this Tutukaka Coast accommodation - sitting on the expansive deck, the water lapping in front of you, a beverage in hand while your food cooks on the BBQ. Walk to cafe/bar, golf course, playground, takeaways, bottle store / dairy. Great location.